Our prescriptive bespoke anti – ageing facial service will include a free consultation where a trained therapist will assess your skin thoroughly and devise a bespoke facial course to specifically target your skin concerns. 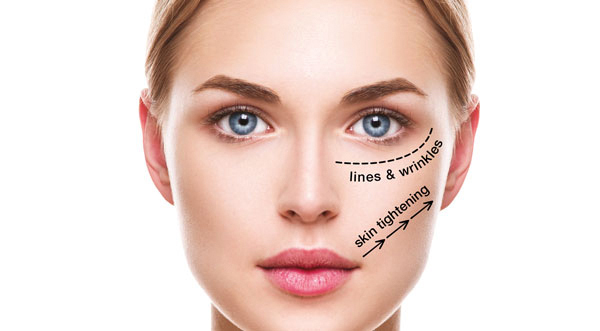 Using a combination of cutting edge, non-surgical technologies in conjunction with professional skincare, we can ensure result driven facials to dramatically improve the appearance of the skin. We combine our revolutionary multiplatform 3D-skintech machine with cutting edge skin care to reduce fine lines and wrinkles, age spots, slackened skin, and promote a more youthful appearance. If you are concerned about visible signs of aging or sun damage this high tech bespoke facial package is perfect for you. A clear reduction in visible fine lines and wrinkles, to create a smoother, more youthful appearance in addition to an overall rejuvenation of the skin.